and Novhorod-Sivirskyj regions, along the northern borders. It may be tempting to see this as a Ukrainian version of the Sarafan, but in fact, the construction is quite different. The talijka is a skirt gathered into a bodice, which usually buttons up in front. 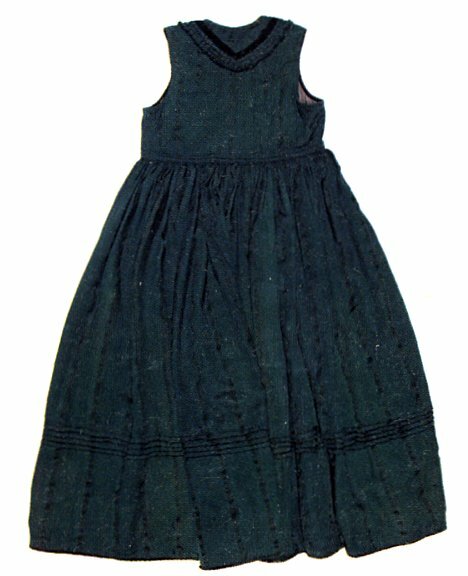 The Sarafan is a skirt with shoulder straps which is worn just below the arms and has no waist and no bodice. Here is an image of the typical Russian Sarafan. Here is a front and back view of the talijka. 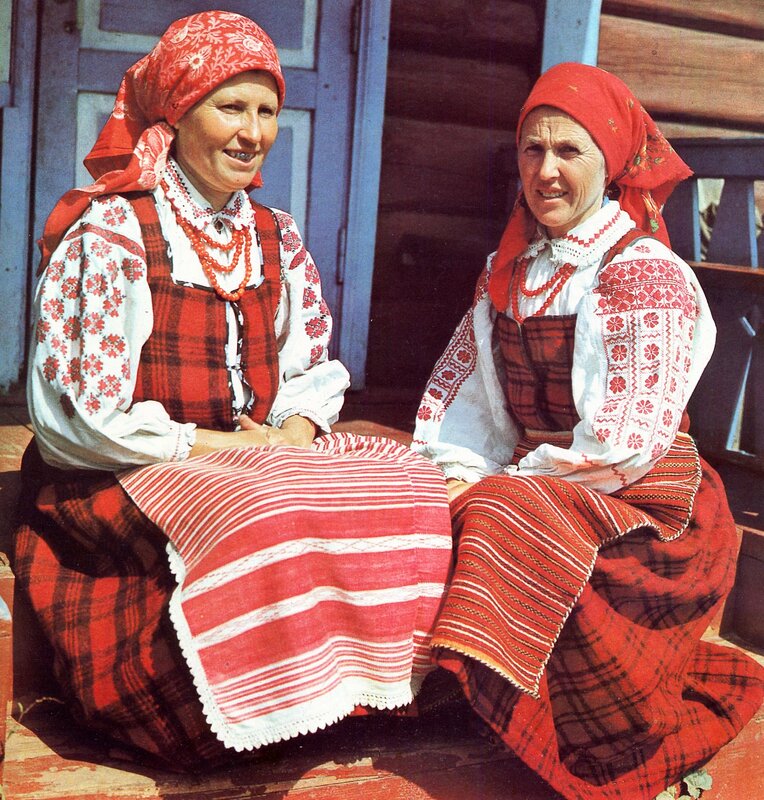 This type of garment is very common in Scandinavia and Central Europe, in fact it reminds me very much of the costume of Mezőség in Transylvania, but is not at all common in Eastern Europe. 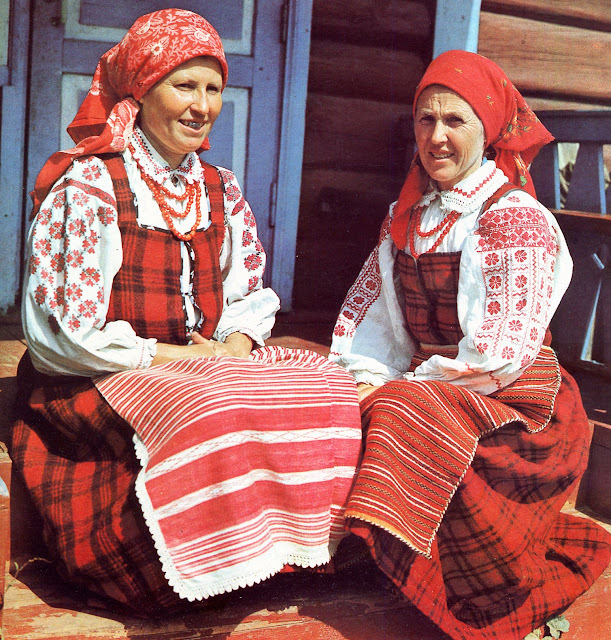 There are similar garments worn in Bielorus along the Dnipro, and in Russia in Voronezh, both of which are rather close to this area, but it does not resemble the typical Russian or Bielorussian costume any more than it does the Ukrainian. 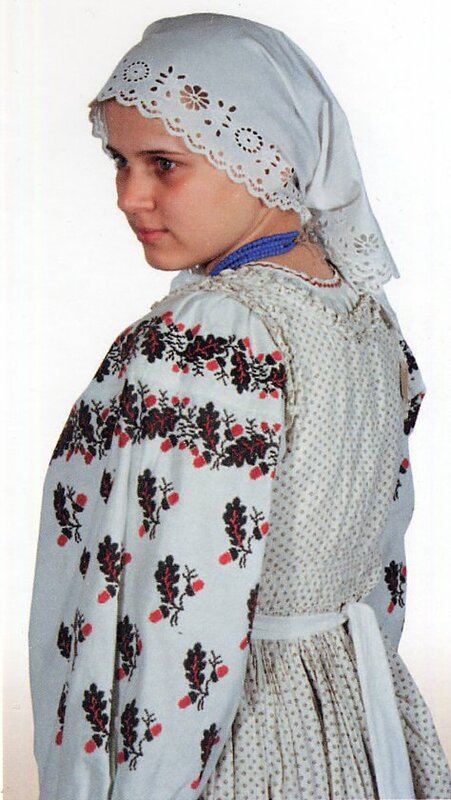 Here is a girl's costume from Biriuch, east of Voronezh, in Russia, about 500 miles east of the region we are discussing. 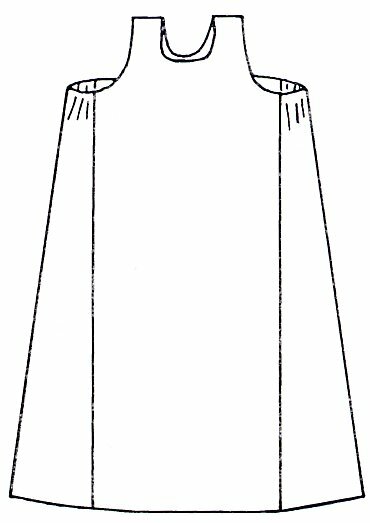 While this garment has a superficial resemblance, in fact it is cut like a typical Sarafan, there is no seam at the waist and no bodice. 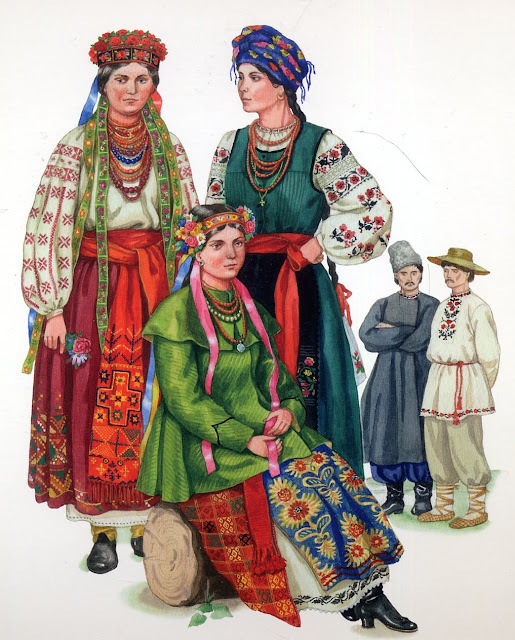 This garment is very odd because the typical Russian costume all along the Ukrainian border consists of the Poneva, not the Sarafan, and even in this region the sarafan is only worn by unmarried girls. 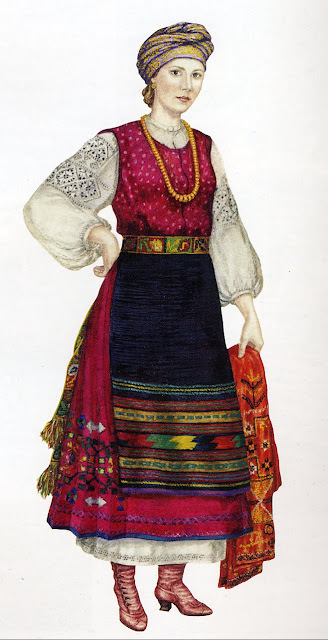 I do not believe there is any connection between this garment and the Talijka. The Bielorussian Saian seems to be related, however. Here are front and back views of the costume of Krasnapolle region, Mahiliow Province, Belarus. 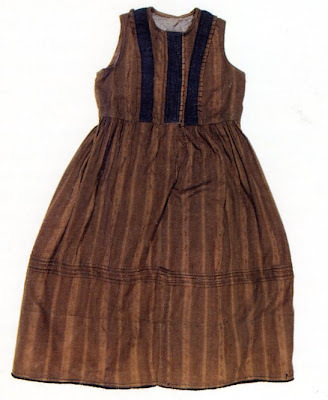 Note that while this garment has shoulder straps resembling the sarafan, there is a seperate bodice into which the skirt of the garment is gathered. This garment is always worn with a chemise whose hem shows below the talijka, and an apron belted at the waist, as is the case with almost all Ukrainian Costumes. 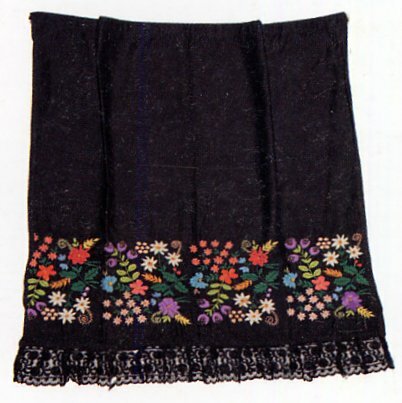 The talijka can be made of various materials, most commonly of a dark wool with ribbon trim, but may also be made of cotton print. The apron is commonly of linen with the typical red and black cross stitch or other technique which is also used on the chemise. Or the embroidery on the apron may be a free form floral satin stitch. This may also be done on the chemise. This is a more recent type of embroidery. 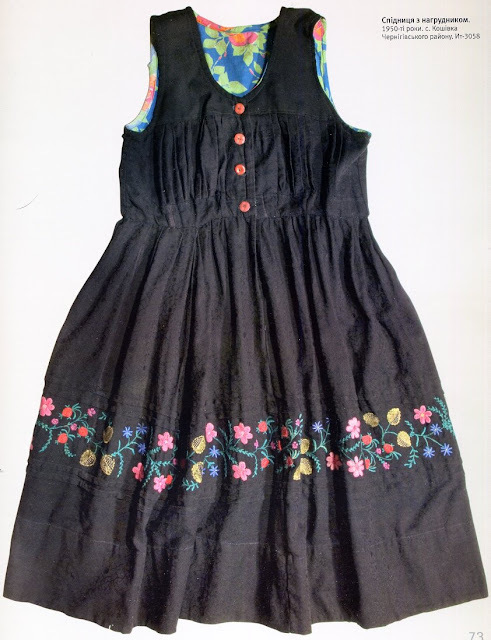 The use of free form floral embroidery has a longer tradition on aprons and other outer garments made of wool or colored cloth. 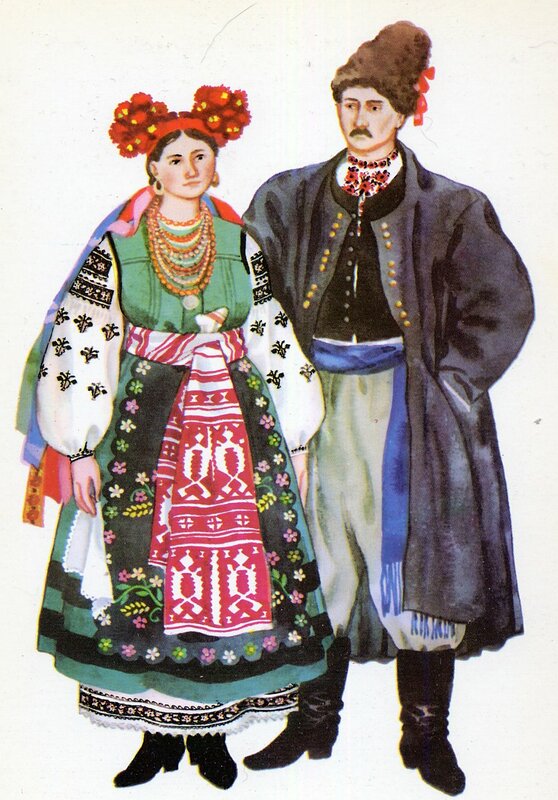 Like the Andarak, the Talijka may also be embroidered. You will notice the seam across the top which provides fullness for the bust. 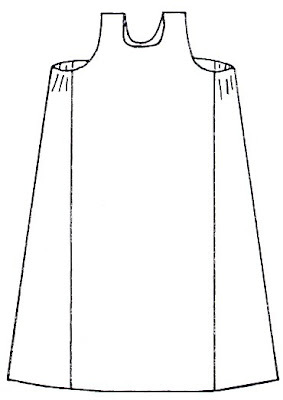 This seam is visible in the drawings above, where it gives the appearance of a yoke. This cut is also found in some Dirndles of south Germany and Austria. The Talijka may also be fitted in the bust, as in this example. There is no doubt that this is a relatively recent garment, but it can form a harmonious part of Ukrainian Costume, as unusual as it is. Perhaps I should count this as a 6th type of Ukrainian Costume, but It is quite uncommon. Most likely this garment is derived from the skirt [andarak, litnyk] traditional to this area, combined with the short vest without peplum common over much of Polissia sewn together into one garment. This is unique in all of Ukraine. Here are a couple of images of Polissian costume with skirt and the short vest. You can see the similarity. Make embroidered garments part of your everyday life. 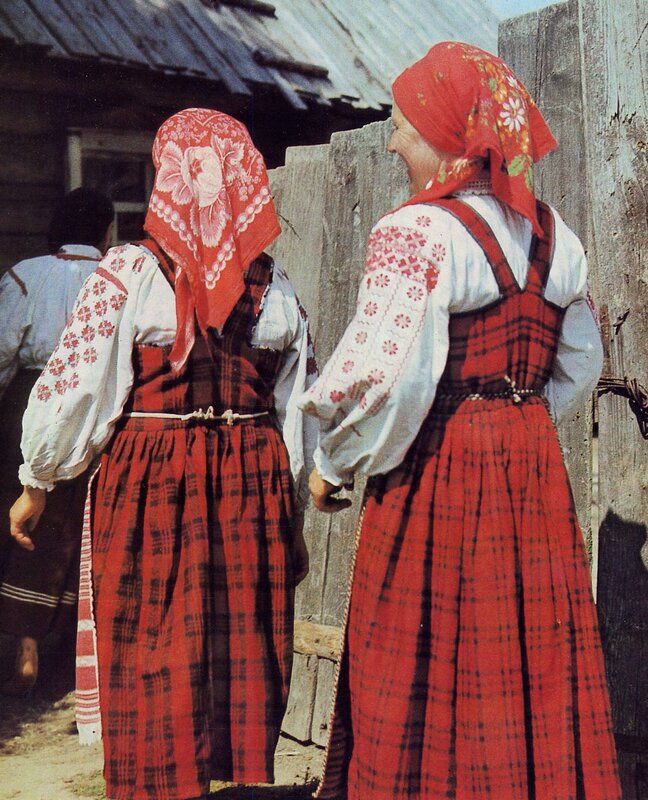 There is a type of sarafan called сарафан с лифом that is made like the talijka, with skirts gathered into yokes or bodices. AFAIK it is relatively widespread. Here are some examples from the Arkhangelsk region.